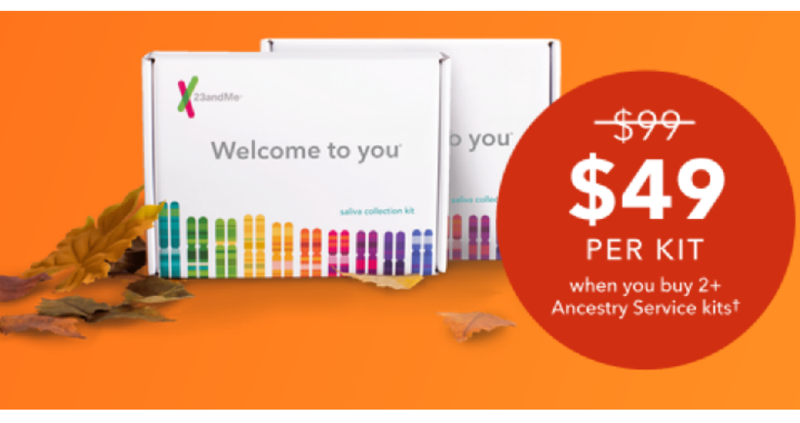 Head over to 23andme where you can get an Ancestry Kit for $69, regularly $99 or buy two Ancestry Kits and pay $49 each. Shipping is $9.95 for one kit and $14.95 for two. This kit includes the ancestry service which will give you access to online personalized genetic reports based on the results of your DNA sample. From the results, you will discover information about your ancestry composition from over 150 regions worldwide. Send in a saliva sample and your results will be ready in about 6-8 weeks. You will then get a detailed breakdown of your global ancestry.